I am talking about the Huawei P20 Pro Smartphone. This is Huawei flagship phone, which is mearnt to compete with the likes of Samsung Galaxy S9 and Apple's iPhone X (or 10 if you like). I have beena able to play around with this beauty and boy oh boy, I fell in love! I will not bore you with specs, which can be found in full, on Huawe's website via THIS LINK. This phone is all about its camera, but I will appetise you with other features before I give you my 2 cents about the camera, and my thoughts on what the camera AI direction can produce, in next-gen smartphones. The home button is very much present on the front bottom, for those like me, who like the button style for tactile control. Th button also holds the fingerprint scanner, which is where I prefer it to be, than at the back of the phone. Other phones may have ditched the home button so as to dedicate the front space, to the screen, but Huawei did it in a very effective way, that doesn't take much screen space, by using a very slim button. Other interface features of note are the screen recording, which allows one to record all screen interactions. This is especially important if one is creating usage manual or tutorials for apps etc. There is also the split screen feature, which allows two applications to be run on separate screens simultaneously. This seems to be a standard feature for most Huawei phones now. The battery on the Pro 20 is a decent size 4000mAH, which for me has been able to keep the juices flowing for almost 2 days after every full charge. This was despite my intensive use of the camera as I was testing various camera modes and scenarios during the same testing period. If you couple this with the quick-charge feature, you realise that you soon forget about the yesteryear wores of cellphone charging, especially if one is making use of portable power banks. 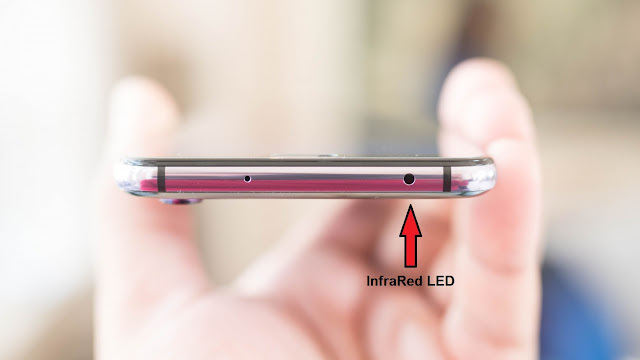 This phone comes with an InfraRed (IR) LED. This means that you can be able to control about any IR device like TVs, Radios, Set-top boxes etc. I have used an app called SURE Universal Remote on Android for over 5 years and it works perfect on this phone. Now, this phone is all about the camera, so my camera highlights deserve to be mentioned here. The phone has got 3 cameras which work together to provide appropriate lighting, depth, focus and colour performance. More detail on how this is achieved, can be found on Huawei’s website, but the more critical ingredient in this recipe is the Artificial Intelligence (AI) processing. Indeed the power of AI on this phone is evident through the camera. The camera is able to detect objects and adjust the camera mode and settings according. One good example, which I noticed immediately, was how colours were being enhanced whenever I was capturing photos of food at restaurants (one of my favourite hobbies) In my experience the AI has been able to provide the touted “Point and shoot perfection” in Huawei’s speak. Starting with the Huawei PSmart, the front facing cameras have been using beautifying algorithms that make selfies very flattering. I have used beauty selfie features on Samsung phones, but I have to say Huawei's algorithms are probably the best I have seen so far. On Samsung, the processing seemed excessive that all the blemishes where being removed, leaving a face that looked like it had had a heavy application of make-up. On one instance, my friend had to ask me if I was now wearing make-up. With the P20 Pro, the skin tone is smoothed out without excessively taking out detail, which leaves selfies more beautiful while preserving natural features. Imagine capturing a photo of your friend John, and the phone aromatically save the photo with the filename "John" and tagging location and weather details at the same time. AI with the camera can be useful in various ways. Software can b developed that regularly capture the self of the user, records various health metrics and be "aware" of surroundings via AI object recognition algorithms. this can be exploited to monitor health and wellbeing of elderly or disabled people. Augmented reality is another easier way of exploiting AI camera features, but that has already been demonstrated in many smartphone applications available today. An extension to that, will be turning the phone into a real companion. Using smart speaker AI, like Alexa, together with Camera AI like on this phone, A smartphone can be turned into a companion for a blind person, who strap the phone on their neck, speak to it, and the camera continually sensing objects around and providing audio warnings and instructions via smart speaker, to guide the blind person around a place like a public square. There are probably other use cases which we may not comprehend now, but which I am sure are already in the pipeline, that's how technology has always been.